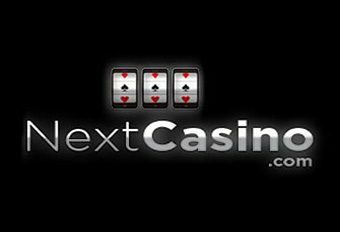 With their slick instant-play interface, NextCasino seeks to be one of the best online gaming sites across both regular and mobile devices. Games are powered by a number of different software platforms and a licence is held in Malta as well as the UK Gambling Commission. Launched in 2013, NextCasino has over 700 games to suit all tastes. There’s no need to worry about downloading any content due to all games using Flash and Java software. The Casino is accessible in a great number of countries, with only players in the USA currently excluded. The casino is available in multiple languages, including Chinese, Czech, Norwegian, Swedish, French as well as others. NextCasino provides a huge amount of online slots games for players to enjoy. Several software platforms provide the casino with games that can be immediately accessed via the instant-play interface. Immortal Romance, Gonzo’s Quest and The Dark Knight all feature as popular slot games in the casino. An assortment of table games is presented by the casino, including Roulette, Blackjack and Baccarat to name a few, ensuring that table fans are well catered for. NextCasino also possesses nearly 100 scratch games and other specialty games that can give players the opportunity to win big on low wagers. 9 leading casino software developers are presented on NextCasino, including NetEnt, Microgaming, BetSoft, IGT, NextGen and Cryptologic. Such a diverse selection provides players with enough games to not get bored with. NextCasino has been a huge success when it comes to mobile compatibility, and is compatible with both IOS and Android devices. Players use the same login details as they would on the desktop version. Available games on mobile devices are provided by IGT and players can access them via their mobile browser. Bonuses are aplenty on NextCasino. New members can enjoy a 100% matching deposit bonus on up to €200, as well as 200 free spins on popular slot machine game Starburst. On top of this, the casino offers a 50% bonus on players’ second deposits. There’s also a monthly reload bonus where players can receive up to a 50% reload bonus up to €300 on the first deposit of every month. Deposits and withdrawals at NextCasino are a relatively simple process. A wide range of different payment options are on offer including, credit and debit card, PaySafeCard, Neteller and EcoCard. An SSL encryption is in place, making it impossible to see player data through the casino’s network. Independent firms frequently regulate the casino and the games to ensure fairness. A clearly indicated online contact form can be found via the “Contact Us” section on the website. Although, it’s not a live chat feature, the casino is known for their speedy responses. A live chat feature is in place and reachable through the same page on the website. There’s also an email address where players can contact the casino. An easy-to-use FAQ section is also available, which easily signposts the relevant issues.